Ready for a little breath-freshening nostalgia? 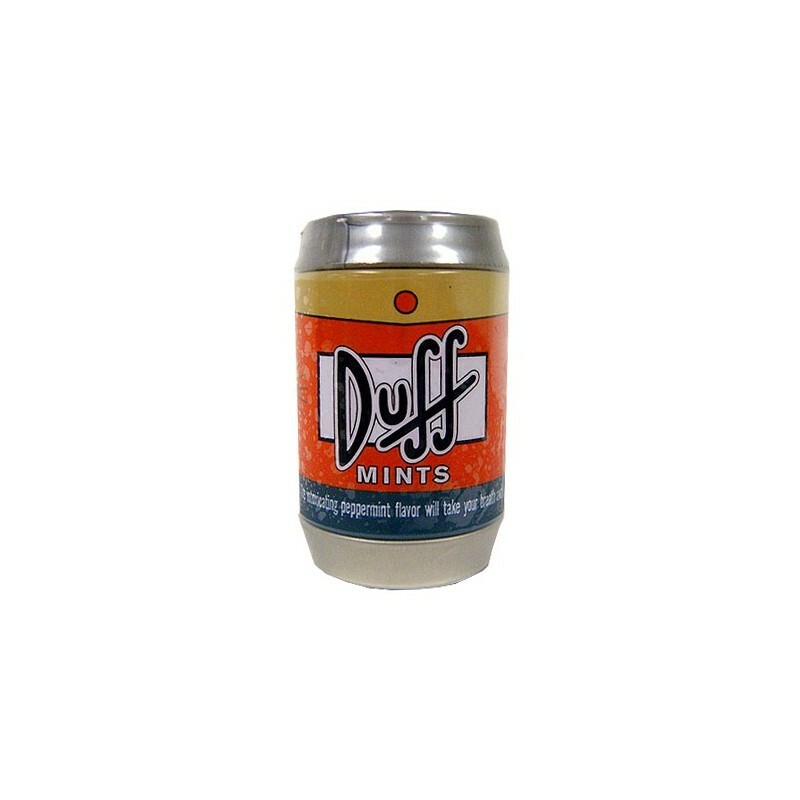 A can of Duff Mints (cleverly shaped like a beer can) will not only give your mouth a blast of fresh peppermint taste, it will "intoxicate" your senses. D'oh! 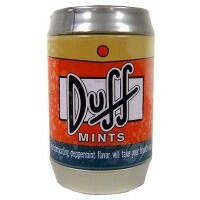 And make sure to turn on an episode of The Simpsons while you enjoy your can of Duffs. This nostalgic snack from the United States comes in a 0.70 oz size with about 50 mints. Dextrose, maltodextrin, thickening agent E572, natural and artificial peppermint flavors. Contains GMO. Nutrition facts (for 100g): calories 476Kcal, total fat 0g (saturated fat 0g), total carbohydrate 95.2g (sugar 95.2g), protein 0g, salt 0g.